January 11, 2016 January 11, 2016 sarahchristinemusicLeave a Comment on New Music Video! Wow what a wonderful year 2015 was. For me it was a year of taking inspired action and tuning in deeper to my role and purpose as an artist. I feel like when I lead life more with my heart instead of my head it opens me up to so many amazing experiences, people and a whole lot of fun! I’m truly humbled and grateful! ~Performing gigs in Maui, Oahu and The Big Island of Hawaii! 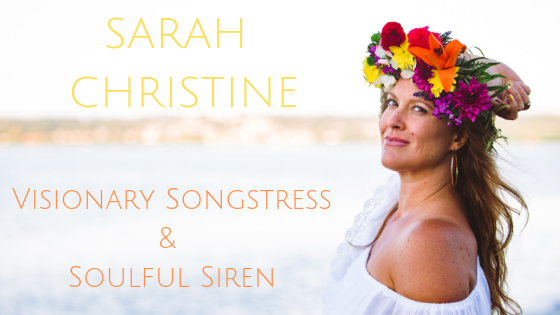 ~Traveling to sunny Santa Barbara, CA to perform at the Wealthy Goddess Live Conference! ~Having the Rev. Jesse Jackson listen to me sing at Seattle-Tacoma Intl. Airport and give me a hug and kiss on the cheek! ~Filming my very first music video! I’m so grateful for every blessing along this musical journey and I look forward to continuing to share my passion and do what I love. I sincerely thank you for your ongoing love and support and appreciate you being a part of this journey with me. Keep following your heart and nurturing your dreams. Previous Right now is the perfect time to wake up and live your life!